CHRISTMAS has come early for Harry Potter fans. 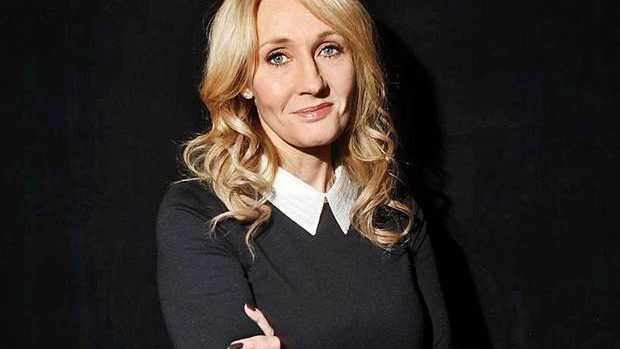 Author JK Rowling will be publishing new material on her Pottermore.com site every day in the run up to Christmas. People subscribed to Rowling's site will be treated to a "surprise" at 1pm each day from Friday 12 December until 23 December, according to an announcement on Facebook. According to the post, there will be a whole array of delights for Potter fans, from "moments from 'Half-Blood Prince', shiny gold Galleons and even a new potion or two." To "unwrap" the Pottermore Christmas surprises fans are required to answer riddles. This is not the first time Rowling has shared new material on the Pottermore website. Earlier this year she published a collection of six essays for Halloween. The writing was hidden on the site and again required readers to solve a series of riddles to unlock and read them. One of the pieces focused on the basis of Hogwarts teacher Professor Dolores Umbridge. Rowling said that she had based the character on a real person she "disliked intensely". "The woman in question returned my antipathy with interest. Why we took against each other so instantly, heartily and (on my side, at least) irrationally, I honestly cannot say." But Rowling's festive pieces are not the only thing going in the world of Harry Potter. A Hollywood adaptation of Fantastic Beasts and Where to Find Them is under way at the moment. The film trilogy marks Rowling's screenwriting debut and will follow the adventures of Newt Scamander in 1920s New York - 70 years before Harry Potter was born.